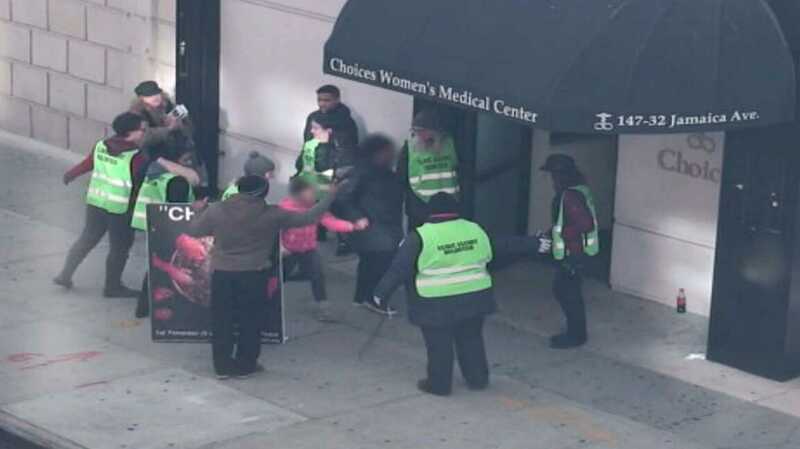 NEW YORK — The attorney general of New York has filed a lawsuit against 14 pro-life individuals that he claims have been “harassing” abortion-minded mothers outside of a local abortion facility. The pro-lifers are reportedly members of various churches and Christian ministries, such as Church @ the Rock, Helpers of God’s Precious Infants, Bright Dawn Ministries and Grace Baptist Church. Schneiderman states that every Saturday for the past five years, the pro-lifers have gathered outside of the Choices Women’s Medical Center in Jamaica and hold photographs of aborted babies. Schneiderman asserts that sometimes there is physical contact or crowding in order to get the person’s attention to hand them the information. “Defendant Randall Doe, while raising an enlarged image of a purportedly aborted fetus, harasses patients and closely follows them within nine feet of the clinic door, telling them that they will regret killing their child for the rest of their lives,” the lawsuit states. “Defendants Ronald George, Randall Doe, Anne Kaminsky, Angela Braxton, and Jasmine LaLande loudly and falsely inform patients entering the clinic, on a regular basis, that there are higher rates of suicide, breast and ovarian cancer, and schizophrenia among individuals who have had abortions, in order to impede them from obtaining such care,” it reads. The legal challenge additionally states that because the pro-lifers film their time on the sidewalk, some mothers fear that their identities might be made public. He is seeking a declaration that the pro-lifers are in violation of state and city clinic access laws, and desires for the court to issue an order creating a 16-foot buffer zone around the abortion facility.